MOSCOW, October 12. /TASS/. 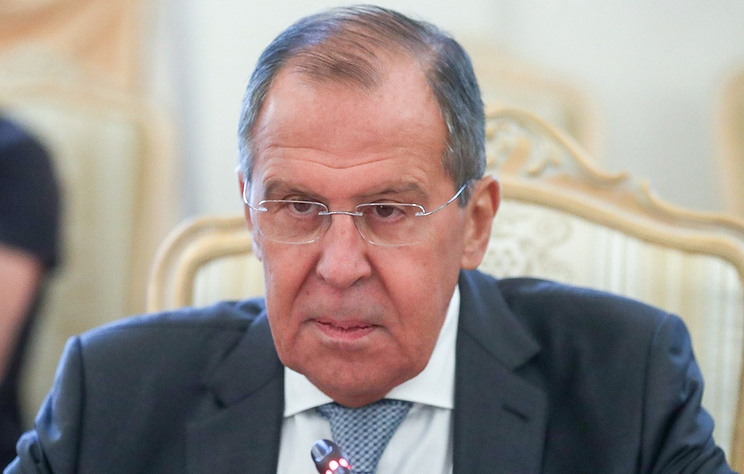 The agreement on a demilitarized zone in Syria’s Idlib has a temporary character and the conflict will be over only when the Syrian government regains control over the entire territory of the country, Russian Foreign Minister Sergey Lavrov said in an interview with RT France, Paris Match and Le Figaro. "Indeed, it is a temporary agreement. The end of the story will be only the Syrian people regains control of the country and all those who are staying in Syria, especially those who were never invited there, leave that country. It is clear for all," the Russian foreign ministry quoted him as saying. The September 17 talks between the Russian and Turkish Presidents, Vladimir Putin and Recep Tayyip Erdogan, in Russia’s Sochi yielded and agreement to establish a demilitarized zone in Syria’s Idlib, along the contact line between government troops and the opposition by October 15. It is planned to withdraw the opposition’s tanks, multiple missile launcher systems, artillery systems and mortars from this zone. Control in this zone will be exercised by mobile patrol groups of Turkish troops and unites of Russian military police. According to United Nations Secretary General’s Special Envoy for Syria Staffan de Mistura, about 10,000 Jabhat al-Nusra and al-Qaeda (both outlawed in Russia) militants are currently staying in the region. When Damascus finally regains control of the governorate, it will put an end to the large-scale armed confrontation in Syria.